Lactobacillus acidophilus Rosell-52: acidophilus is a natural resident of the intestinal microflora; this strain of acidophilus from OptiBac has been shown to survive gastric acidity and biliary salts, and to reach the intestines without damage. 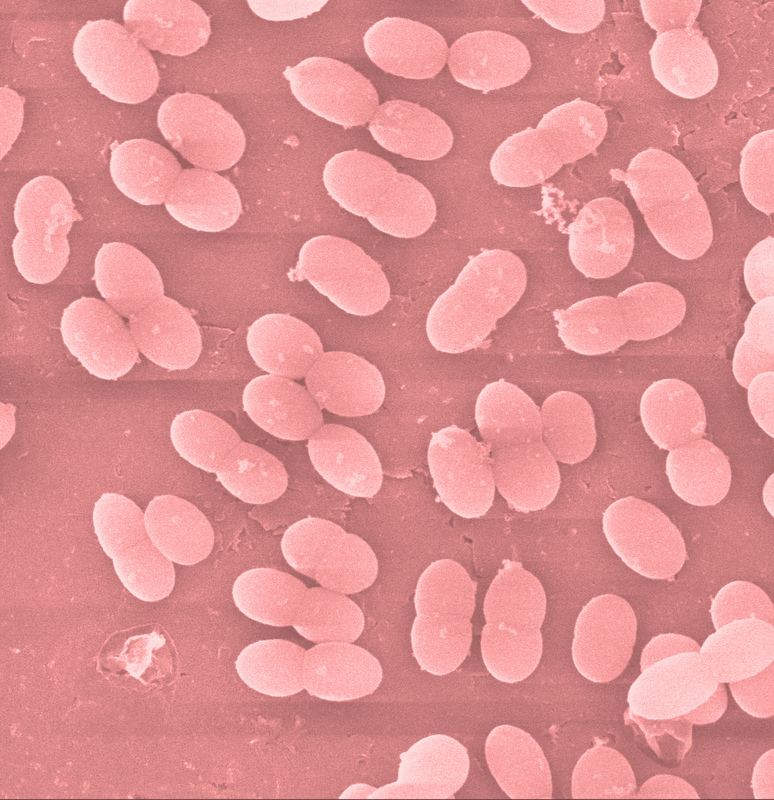 Bifidobacterium bifidum Rosell-71: In-vitro tests suggest that this strain flourishes well with Fructooligosaccharides. Lactobacillus casei Rosell-215 is of an extensively studied species naturally residing in the intestinal flora; this strain from OptiBac has been researched in its ability to resist gastric acidity and bile salts in order to reach your small and large intestines alive. Lactococcus lactis Rosell-1058 is extracted from the kefir culture, and has been scientifically proven to reach the gut alive. Fructooligosaccharide fibres (FOS) predominantly settle in the large intestine where they may act as a food source to stimulate the growth of your body's natural bacteria. This 7 day course is ideal for those looking for a short term, high quality natural bacteria supplement. 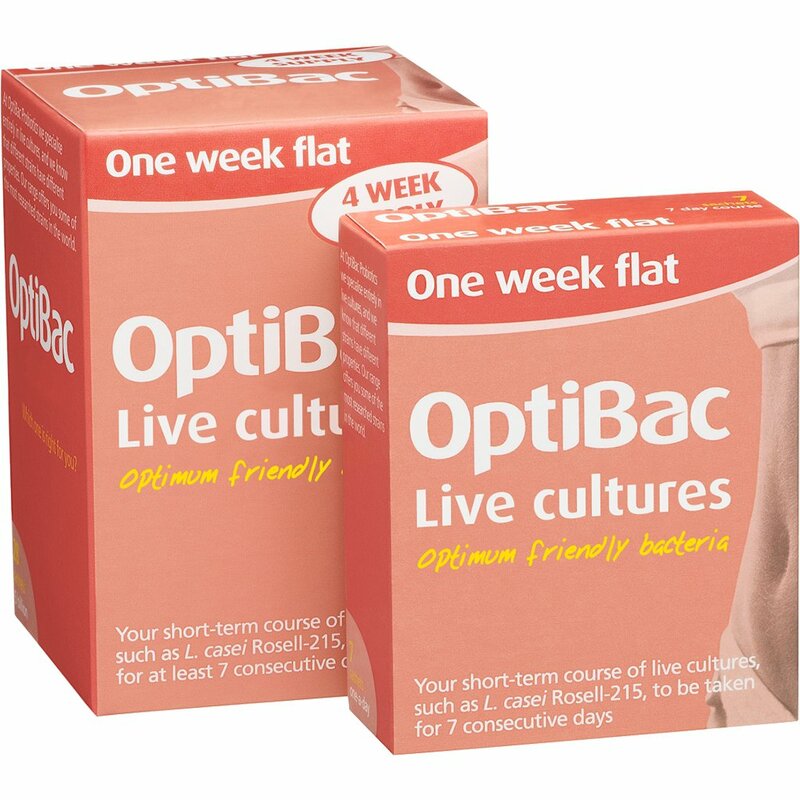 Unlike similar foods and supplements containing friendly bacteria, 'One week flat' is free from added sugars and does not contain gluten, and may therefore be suitable for those with bloating. Abdominal or stomach bloating is thought to be associated with food intolerances, constipation, over-eating, PMS or intestinal gas; leaving the abdomen feeling uncomfortable, full and tight. If you have poor digestion, waste materials and the gases they produce can remain in the gut for long periods of time, often at high temperatures and pressures. This causes bloating and stretching of the gut walls beyond their comfortable limits. An imbalance of bacteria in the gut may result in poor digestive health, bloating, production of smelly and uncomfortable gases, and sluggish bowels. This imbalance is known as dysbiosis. We highly recommend you take 'One week flat' for 7 consecutive days. Most customers take this course once a month, but it can taken as often as desired. For more information see our FAQ: How often should I take OptiBac 'One week flat'?